The succesful Windows 7 operating system for PCs has finally gone mobile and will be available in selected mobile phones by the end of this year. Built to incorporate touch screen technology, Windows 7 was always going to be a big step up from their traditional series of smartphone operating systems, but Engadget describe it as radically different from its predecessors, Windows 6 and Windows 6.5 (launched October). Minimal and very functional design seem to be a distinguishing feature of the user interface. And the menus are based around tiles (as seen above) rather than lists. The OS is linked into to social networking – the contacts list syncing with Facebook for example and has XBox integration. Perhaps because of Microsoft’s brand value Windows is currently is the fourth biggest provider of mobile phone operating systems, behind Symbian, the iPhone, and Blackberries – but ahead of Google Android. The launch of Windows 7 mobile will only help the prominence of the OS – the Windows 7 PC version has had a good rep in geek circles and with the general public. 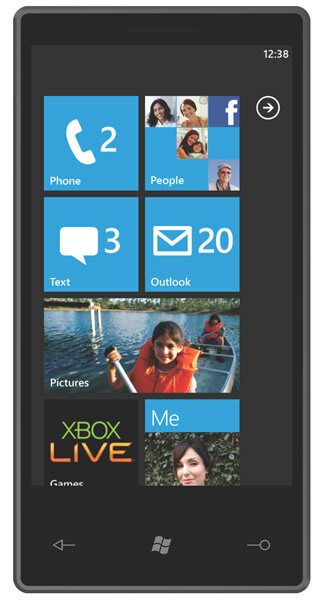 Where as windows 7 Mobile is powered with a lot of new features such as Xbox live & the interface is really cool they would definitely consume a lot a battery i hope the mobile manufacturers look in this…….